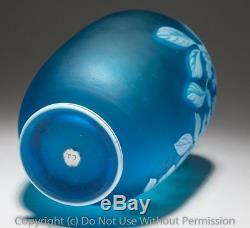 8038 Thomas Webb Cameo Glass Vase. 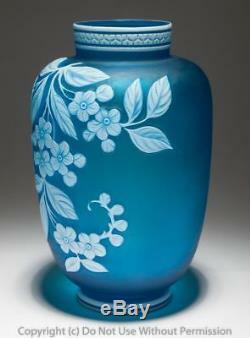 A beautiful late 19th Century Thomas Webb cameo glass vase. 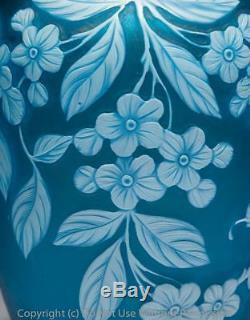 It has a blue ground with white cameo. 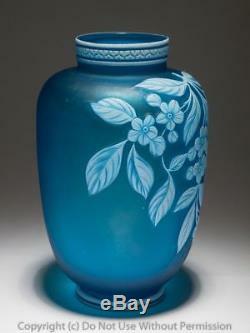 The cameo is in the form of flowers and leaves in naturalistic form and this extends around the front half of the vase. 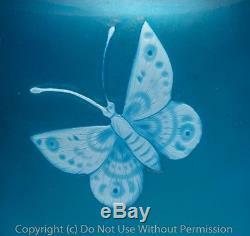 To the reverse is a butterfly shown in close up in image 6 for you. This is a typical feature of Webb cameo. 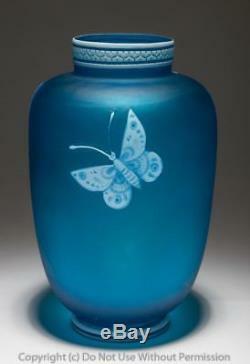 There are no makers marks which is correct for this type of piece. The foot rim has two rings of white overlay and the neck has been etched in cell format. A beautiful looking piece with nice colour as you can see in the images. Minor flaws in the glass and cameo cutting as typical for these items. A couple of open tiny air bubbles in the cameo cutting through normal production. One very small nick to white area on foot rim probably through production cutting visible in image 3 for you. Slight fritting around the rim again typical for these items. If for any reason you are unhappy with your item please let us know as soon as possible, and we will do our best to put things right. 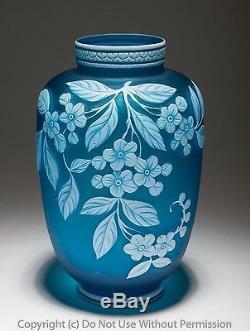 The item "Fine Thomas Webb Cameo Glass Vase in Blue Antique 19th Century Stourbridge" is in sale since Sunday, July 20, 2014. 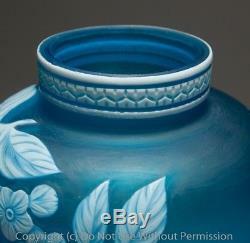 This item is in the category "Pottery, Porcelain & Glass\Glass\Date-Lined Glass\Victorian (c. The seller is "chrisbuckman" and is located in Telford. This item can be shipped worldwide.